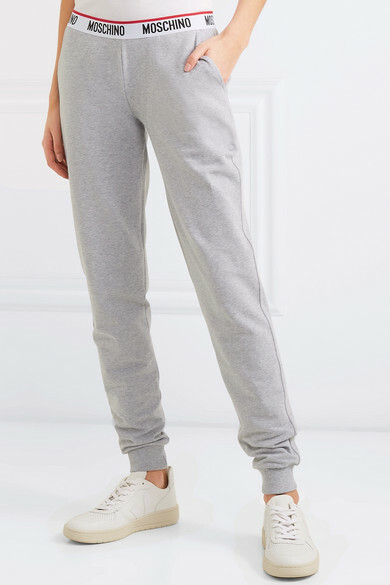 Moschino's track pants can be worn for lounging or running errands and even jogs around the park. 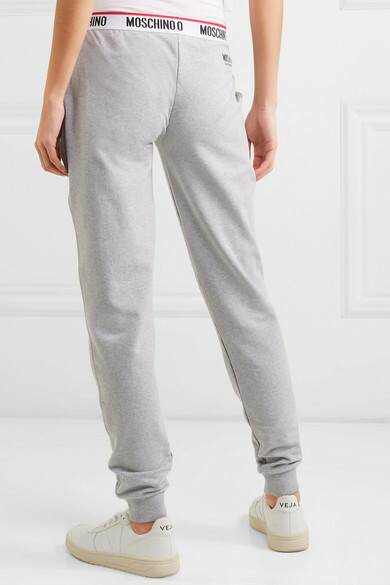 They're cut from soft cotton-jersey with a hint of stretch, so you'll always feel comfortable and cozy. 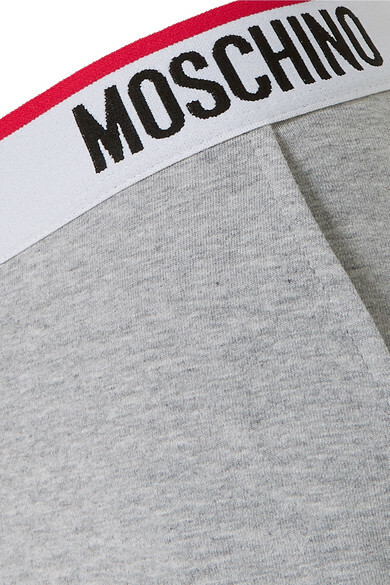 Label devotees will love the logo-intarsia waistband, which matches this sweatshirt. 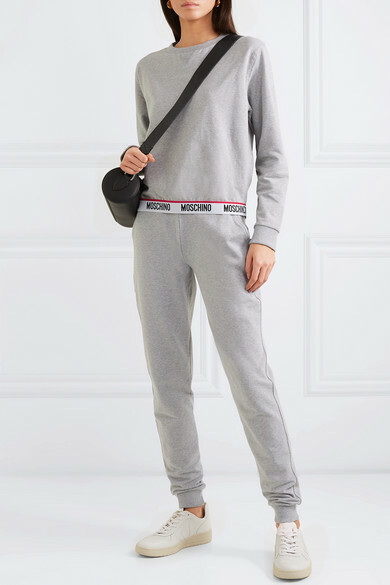 Shown here with: Alexander Wang Belt bag, Veja Sneakers.